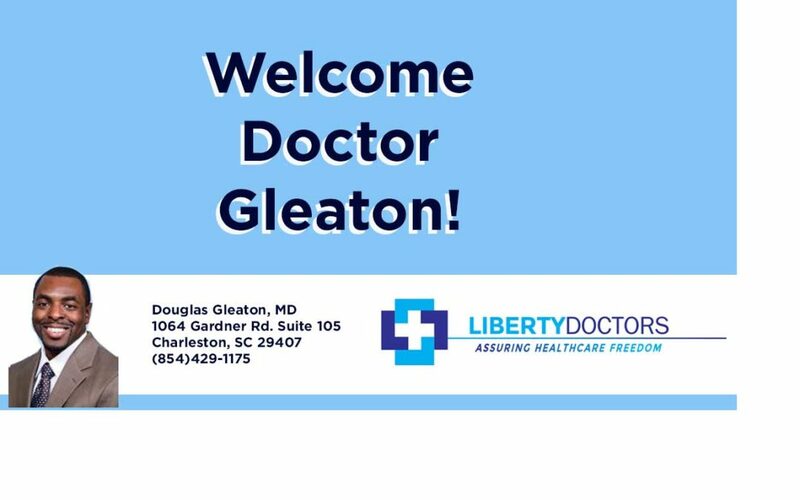 Please join us in welcoming Dr. Douglas Gleaton to Liberty Doctors! Dr. Gleaton’s family practice opened in West Ashley at the beginning of November. He attended College of Charleston, received his medical degree from MUSC, and completed his residency at Carolinas Medical Center. He is now welcoming new patients! Most insurance accepted.